We are trying to keep this project going forward amid all of the other life obligations … We did get a few things done this weekend. 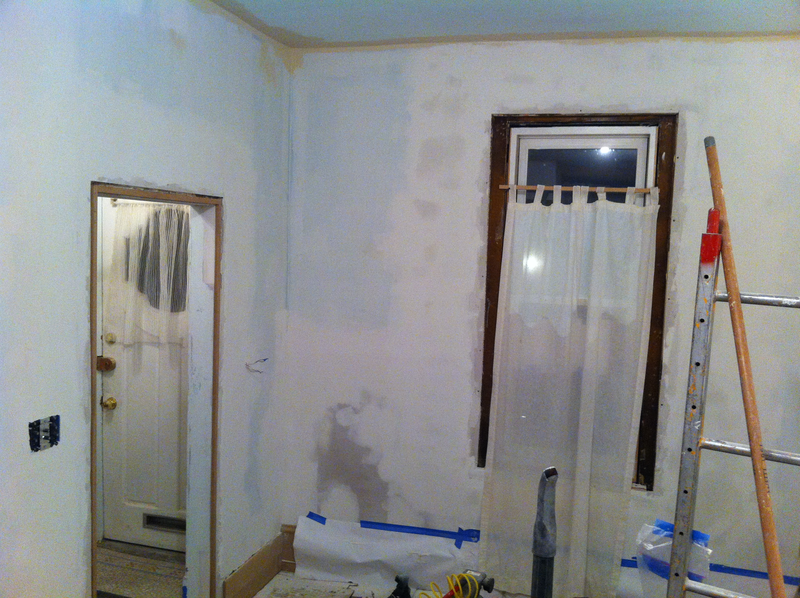 There was some more sanding & spackling…. 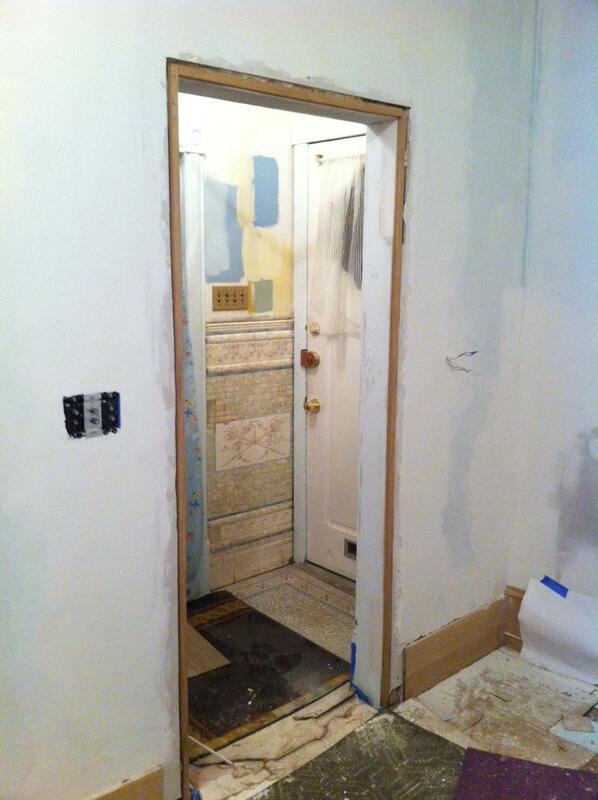 The door jamb got packed out in Oak for the new trim. And a few more corner blocks got stripped in the slow cooker. They still need sanding but this method is so much easier than the heat gun! And of course there were a few things done on the stain glass window. McElf is getting set up to start fabricating in the near future. how are you stripping the corner blocks in the slow cooker? How are you stripping the corner blocks in the crock pot? 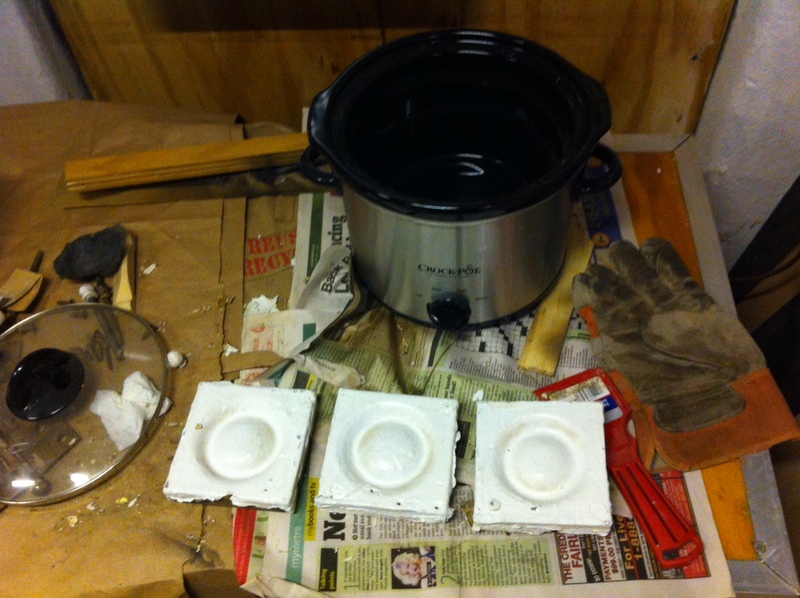 We decided on a whim to try the paint-stripping-in-a-crockpot method, which we used for metal door hardware before… Fill the pot with water, a little laundry soap and the corner block, then ‘cook’ on low for a few hours. 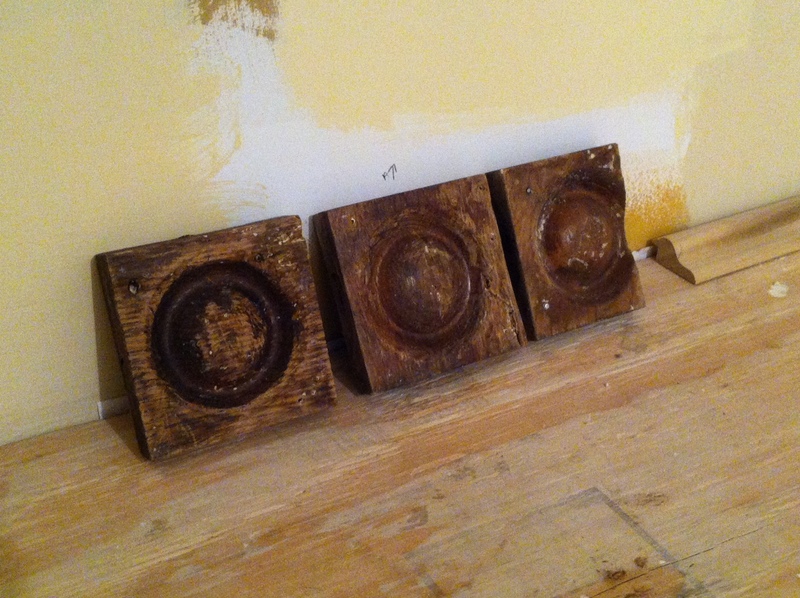 The paint comes right off, then once they dried out we sanded them. So much easier than any other method! and then did you paint the wood? if so how is the paint holding up? Seems like the wood would retain moisture after that long of a soak. But you’re right stripping rosettes with a heat gun, or chemical stripper is a real pain in the derrière so perhaps I will try the crock pot. We’re haven’t finished them yet but we’re planning to stain/ poly. I should note that they’re only in the water for a few hours and then we let them dry out for a few weeks before sanding. I wouldn’t try applying any finish until you’re sure they’re completely dry. Good luck with your project! !